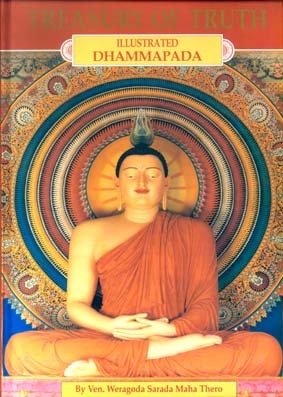 World’s largest edition of Dhammapada, this is illustrated with 423 especially commissioned works of art. The book represents the quintessence of Buddhism, embodied in 423 stanzas that represent the words of the Buddha. The wisdom implicit in these sacred verses is timeless and is universally applicable. This encompasses both spiritual and worldly situations. The book classified into 23 chapters is arranged to give the reader the original Pali in Roman characters and the translation of each stanza at two levels. The prose order of each stanza is provided, with the meaning of each word explained. The story, out of which the verses emerged, is also provided. A comprehensive commentary facilitates the understanding of the work in depth. 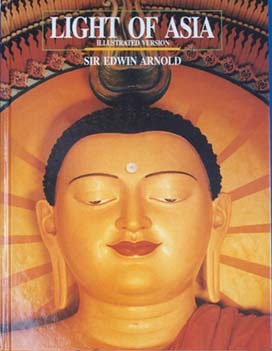 The book comes in an attractive slip-case, with an illustration depicting one of the most serene images of the Buddha adorning the cover.This is available in Sinhala and Chinese versions as well. In its latest publishing effort, the Singapore Buddhist Meditation Centre will bring out an illustrated version of the Jataka Stories. (Traditionally, it is assumed that there are 547 birth stories,) This monumental work will present to the world, the first-ever fully illustrated edition of the Jataka Stories in English. 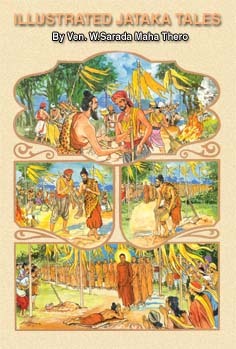 The present version of the Jataka Stories follows on the phenomenal success registered by the previous Singapore Buddhist Meditation Centre publication “ Treasury of Truth – Illustrated Dhammapada”. The Jataka Stories, will have more than 1,500 pages of text, impressively supported by over a thousand full colour illustrations, especially commissioned for the work. We present to you a preview, of Jataka Stories, depicting some of the illustrative matter, in the completed work. For those, whose familiarity with the birth stories is peripheral, this preview will provide a tantalizing glimpse of the main work – ‘The Illustrated Jataka Stories”. This noble publishing project, which will be the most spectacular Buddhist book ever published, is estimated to cost about one million Singapore dollars. You can acquire merits by sponsoring one or more pages of this noble work, at S$ 350/- per page. Each sponsor of a page could dedicate his/her sponsorship, to invoke blessing to one’s self and family or to transfer merit to his/her dear departed. The sponsor’s name will appear in the book. The present work is a most comprehensive analysis of the human condition. 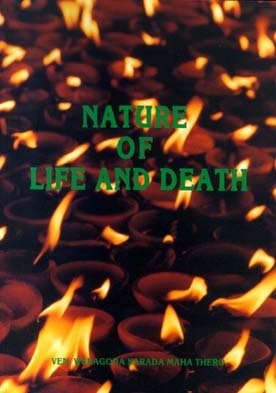 The ephemeral nature of life and the inevitability of death, are the central themes of this book. The spiritual maturity and the philosophic fortitude that people must possess to come to terms with the transitory nature of the human destiny are classically recorded here as set down by the Supremely Enlightened One. This eternal wisdom, should become part of the intellectual equipment of all human beings who have death as their inevitable human heritage. The book is divided into ten chapters namely: Meditation on the Buddha, Meditation on loving kindness, Meditation on the impurity of our body, Meditation of death, eight-fold causes of great sorrow, the shaft of grief, reflection on the loss of loved ones, Meditation on the impermanence of life and the three characteristics of nature. These immortal thoughts are communicated in exquisite words and images. The book is copiously illustrated in full colour. This can be described as a work of epic quality. 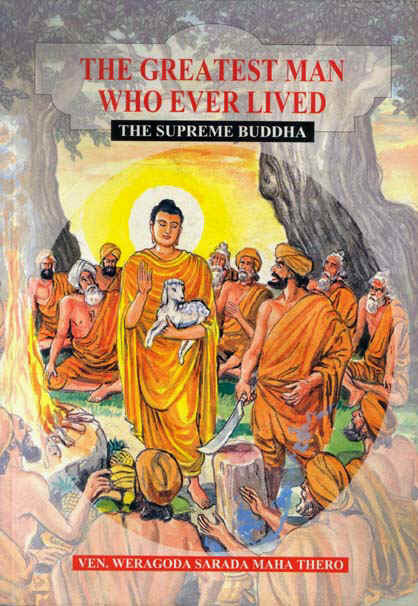 The life of the Buddha is narrated in this book, through a series of episodes, which are rarely found in other works relating to the Buddha’s biography. The anecdotal approach adopted in this life story of the Buddha, imparts an exceptional readability and appeal to this work. The special quality of this book is that it is a four-in-one publication. In addition to the main work “The Greatest Man Who Ever Lived – The Supreme Buddha,” there are three other separate books within its cover. They are “Vasala Sutta”, “Sacred Relics of the Supreme Buddha” and “Maha Parinibbana Sutta”. The book is profusely illustrated with especially commissioned works of art in full colour. The totality of the human race rests on the harmony between parents and children. Most of the social ills that affect mankind have come about as a result of the failure to achieve a wholesome balance between parents and children. This work therefore has a perennial appeal and a universal meaning. Here, the Buddhist perspective and the views of other significant philosophies are all presented, to emphasize the need for parent-children harmony. Some outstanding stories that emphasize various aspects of parent-child relations are illustrated here in expressive graphics. The book is so arranged that both parents and children can have access to it. The stories are presented in the “picture-story format” to have an appeal for the children. 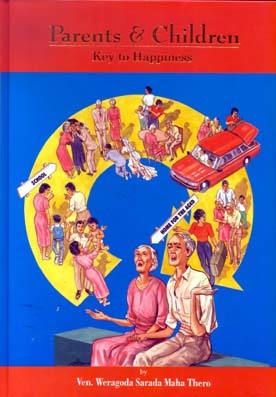 In addition to the main theme, the book contains sections on “Eight Worldly Conditions”, “Morals” and “Buddhism and Modern Issues”. A special essay titled “Parents, Children and Media” draws attention to the effects of media on parents and children. The interest of the West in Buddhism was extensively stirred by this religious epic-poem on the fascinating life of Prince Siddhartha, who evolved into the Supremely Enlightened One. Over the years this work has appeared in numerous editions. But no edition of this epic poem in eight cantos, can surpass the present version in quality. What is especially remarkable here is the series of Sri Lankan paintings that have been done in the tradition of temple murals. All the illustrative matter is in full colour. This is available in a Sinhala version as well.